As a laid-back Hawaiian, Ken has named the product for the shaka Aloha spirit handsign, thus it's the Onion Shakaulu. 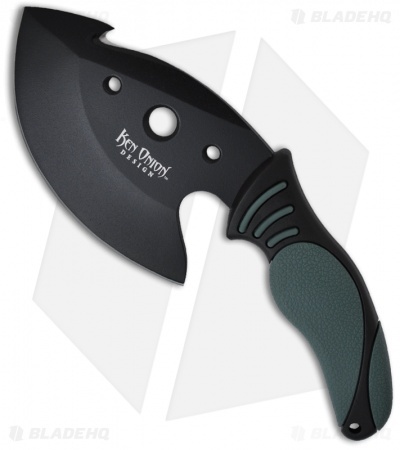 The handle is Twin-Fused— first injection molded with a hard black polypropylene handle form, which is followed by softer dark green TPE plastic inserts. 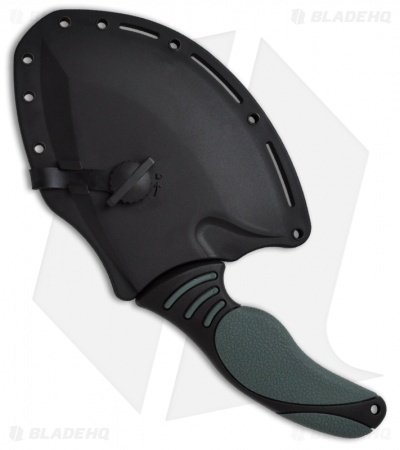 The handle is ergonomic, giving a secure grip in cold weather and while wearing gloves. But if you need to make short work of a large animal before the snow flurries, or hyenas, close in, the Shakaulu is the tool for you.